Lee agreed Saturday to a restructured contract which will pay $3.5 million, but has a chance to become higher thanks to incentives, Ian Rapoport of NFL Network reports. 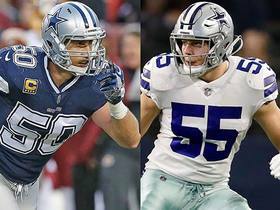 Analysis: This is probably a bigger deal for Lee than it is the Cowboys, as the emergence of Jaylon Smith and Leighton Vander Esch essentially made the long-time linebacker somewhat obsolete. The additional salary-cap savings will aid in the Cowboys' desire to retain a handful of core players set to hit the open market, as the injury-prone linebacker will likely not play enough to hit the necessary incentives. Coach Jason Garrett said Wednesday that Lee "[has] got a lot of football left in him and he'll be part of what we're doing moving forward," David Helman of the Cowboys' official site reports. Analysis: Lee indicated at the beginning of the offseason that he was "leaning towards playing again" after enduring multiple hamstring setbacks in 2018. Rookie Leighton Vander Esch stepped up as the team's top linebacker in his absence and permanently took over the starting role on the heels of his strong play. The longtime Cowboy is set to carry a cap hit just north of $10 million in 2019, so the team could look to restructure the deal to keep him on the roster at lower price. Lee said that he's "leaning towards playing again" when asked about his future in football Wednesday, David Moore of The Dallas Morning News reports. Lee (hamstring) was a full participant in Tuesday's practice, Jon Machota of The Dallas Morning News reports. Analysis: Lee seems to have completely shed his hamstring injury and should be full-go against the Rams on Saturday. It still remains to be seen how much he'll be utilized, though, as the linebacker played just four defensive snaps versus the Seahawks in the wild-card round. Lee (hamstring) is active for Saturday's wild-card game against the Seahawks, Todd Archer of ESPN.com reports. Analysis: This was to be expected as Lee was able to practice fully Thursday and was not given an injury designation. The veteran linebacker saw a limited snap count during his two December appearances, but expects that snap number to increase Saturday, Brandon George of The Dallas Morning News reports. Lee (hamstring) practiced in full Thursday and doesn't have a designation for Saturday's wild-card game against the Seahawks, David Helman of the Cowboys' official site reports. Analysis: Lee scattered nine absences about the 2018 regular season due to a strained hamstring. His previous two appearances came in Weeks 15 and 17, when he logged a combined 29 defensive snaps. Jaylon Smith, Leighton Vander Esch and even Damien Wilson have been seeing reps in front of Lee, who managed just 30 tackles in seven games this year. Assuming he plays this weekend, Lee likely will be a defensive sub, considering his recent usage. Lee (hamstring) is questionable for Sunday's game against the Giants, Jon Machota of The Dallas Morning News reports. Analysis: Lee was a healthy scratch last week against Tampa Bay, but he returned to limited practice participation this week. It remains unclear if the veteran linebacker suffered a setback or not. However, the Cowboys are liable to remain cautious, given both his injury history and the fact Sunday's outcome cannot affect their playoff seeding. Lee (hamstring) was a limited participant at Wednesday's practice. Analysis: The Cowboys have take a cautious route with Lee's recovery given his injury history. There's a chance we'll see him Sunday against the Giants, but with the division wrapped up, perhaps Dallas will provide Lee with an additional week of rest before the playoffs begin. Lee (hamstring) was held out despite being available for limited snaps in Sunday's win over Tampa Bay, Kate Hairopoulos of The Dallas Morning News reports. Analysis: Lee has missed nine games this season due to his hamstring injury. He returned from a five-week absence in Week 15, seeing just seven snaps. Coach Jason Garrett said that Lee is fine, but that the team didn't want to rush him back and needed help in the secondary more than linebacker. The play of rookie Leighton Vander Esch and Jaylon Smith has made it easier to take time with Lee's recovery. It's unclear if Lee will play in Week 17, though he'll likely be limited if he does see the field. Lee (hamstring) is inactive for Sunday's Week 16 tilt against the Buccaneers. Analysis: Lee's inactive status confirms reports earlier Sunday that the Cowboys likely would sacrifice his presence for depth elsewhere versus the Buccaneers. There have been no reported setbacks with Lee's hamstring, so the inactive status is essentially a healthy scratch as opposed to an indication of any type of worsening of the injury. Lee will next have a chance of taking the field for the regular-season finale against the Giants. Lee (hamstring), who is listed as questionable for Sunday's game against the Buccaneers, is expected to be inactive for the contest, Jane Slater of NFL Network reports. Lee (hamstring) is officially listed as questionable for Sunday's game against the Buccaneers, Jon Machota of The Dallas Morning News reports. Analysis: Lee was a limited participant in practice all week. The veteran linebacker said that the Cowboys plan to increase his snap count each week going forward, according to Brandon George of The Dallas Morning News, ensuring that he will be fully healthy for the playoffs. After only having played seven snaps versus the Colts in Week 15, expect Lee to see a slightly increased defensive workload against Tampa Bay. Lee (hamstring) was a limited participant in Wednesday's practice, Calvin Watkins of The Athletic reports. Analysis: Lee logged his usual limited practice session Wednesday after having played seven defensive snaps during Sunday's blowout loss to the Colts, in what was his first game-time action since Week 10. Barring any setbacks, expect Lee to see another limited snap count against the Buccaneers in Week 16. Lee (hamstring) is active for Sunday's game against the Colts, Brandon George of The Dallas Morning News reports. Analysis: The Cowboys signed off on Lee's return from a five-game absence after he logged a trio of limited practices this week. Due to the extended layoff, it's expected that Lee will be eased back into action in a limited role, per Ian Rapoport of NFL Network, rendering the linebacker an undesirable IDP option this week. Lee (hamstring), who is listed as questionable for Sunday's game against the Colts, is expected to suit up and play limited snaps in the Cowboys' base defense, Ian Rapoport of NFL Network reports. Analysis: Lee has missed eight games this season due to hamstring issues, including each of the past five contests, so the Cowboys seem inclined to ease him back into the mix after he only managed limited practice participation Wednesday through Friday. The likelihood of a limited snap count limits Lee's IDP prospects this week, with Leighton Vander Esch and Jaylon Smith looking like more appealing options among the Dallas linebackers. Lee (hamstring) remained limited at Friday's practice and is listed as questionable for Sunday's game in Indianapolis, Jon Machota of The Dallas Morning News reports. Lee (hamstring) took the field Wednesday for practice, Kate Hairopoulos of The Dallas Morning News reports. Analysis: Coach Jason Garrett expressed optimism Monday that Lee would practice in a limited capacity Wednesday and that appears to have come to fruition. It still doesn't guarantee Lee will play Sunday against the Colts, with official word on that front unlikely to come until Dallas' final practice of the week Friday. Lee has accrued 27 stops, one fumble recovery and a half sack over his five outings this season. Coach Jason Garrett said Monday he expects Lee (hamstring) to practice in a limited capacity Wednesday, David Helman of the Cowboys' official site reports. Lee (hamstring) is ruled out for Sunday's game against the Eagles, David Helman of the Cowboys' official site reports. Analysis: Lee did not practice in any capacity this week and will miss his fifth straight game due to a lingering hamstring issue. Rookie first-round pick Leighton Vander Esch will draw another start during Sunday's divisional tilt against the Eagles. Lee (hamstring) did not practice Wednesday, Jon Machota of The Dallas Morning News reports. Analysis: Lee has not seen the field since Week 9, and remains sidelined to begin Week 14 despite news that he has an outside shot to play Sunday, according to Jeff Cavanaugh of The Athletic. When Lee is able to retake the field, he's expected to resume his starting role, but it remains to be seen whether the veteran will get healthy in time for Sunday's divisional tilt against the Eagles. Cowboys owner Jerry Jones said Tuesday that Lee (hamstring) will get his starting linebacker role back when he's healthy, Jon Machota of The Dallas News reports. Analysis: With news Monday that Lee has an "outside shot" to play Sunday, owner Jerry Jones doubled down and said Lee will take over as the starter when healthy. Lee hasn't seen the field since Week 9, and in his absence, rookie Leighton Vander Esch has played admirably. Lee's practice participation throughout the week will give a good indication as to whether he could suit up in Week 14. Lee (hamstring) has an "outside shot" to play against the Eagles in Week 14, Jeff Cavanaugh of The Athletic reports. Analysis: Lee has not practiced since suffering a hamstring strain during a Week 9 tilt against the Titans. The veteran linebacker is approaching the end of his 4-to-6 week recovery timetable, but it remains to be seen whether he'll get healthy in time for Sunday's divisional tilt against the Eagles. The extent of Lee's participation in practice this week should clarify his chances of retaking the field in that contest. Lee (hamstring) won't play Thursday at New Orleans but hopes to return to practice next week, David Helman of the Cowboys' official site reports. Analysis: With his fourth consecutive absence imminent, Lee is approaching the front end of his 4-to-6-week recovery timetable from a left hamstring strain. Considering Lee's lengthy medical history, the Cowboys likely will exercise caution to make sure he's as healthy as possible for the upcoming playoff push. Plus, Jaylon Smith and rookie Leighton Vander Esch have played admirably during his absence, so Lee may be held out until he's 100 percent. Lee (hamstring) is expected to be sidelined for 4-to-6 weeks, David Moore of The Dallas Morning News reports. Analysis: Lee has been unable to avoid the injury bug throughout his career, and 2018 has been no different. His most recent health setback occurred on the second play of the third quarter in Monday's 28-14 loss to the Titans, when he pulled up lame while attempting to chase down tight end Jonnu Smith. The upcoming absence will be Lee's second of the season, with a return no earlier than Dec. 9 against the Eagles, per the given recovery timetable. Lee was diagnosed with a strained left hamstring after exiting Monday's 28-14 loss to the Titans and is expected to be unavailable for the next few weeks, Brandon George of The Dallas Morning News reports. Coach Jason Garrett said after Monday's 28-14 loss to the Titans that he anticipates Lee will "probably be out for a little bit" after the linebacker suffered a hamstring injury in the third quarter of the contest, Nick Shook of NFL.com reports. Lee is questionable to return to Monday's game with a hamstring injury, Brandon George of The Dallas Morning News reports. Analysis: Lee sustained the hamstring injury during the third quarter of Monday's action, paving the way for Leighton Vander Esch. Given Lee's injury history, it wouldn't be a surprise if the Cowboys opted to take a more cautious route in regards to working him back onto the field. Lee (hamstring) doesn't carry an injury designation into Sunday's game against the Redskins, Kareem Copeland of The Washington Post reports. According to Jon Machota of The Dallas Morning News, vice president Stephen Jones expects Lee to play in Week 7, though the linebacker's snap count will likely be restricted. Lee (hamstring) practiced in full capacity Thursday, Clarence E. Hill Jr. of the Fort Worth Star-Telegram reports. Lee (hamstring) was a limited participant at practice Wednesday. Analysis: Lee had only participated in individual drills since suffering the hamstring injury against the Seahawks on Sept. 23, so this is a big step towards his potential return. The oft-injured linebacker's work at practice the rest of the week will determine his status for Sunday's game at Washington. Lee (hamstring) has been ruled out for Sunday's game against the Jaguars, Jon Machota of the Dallas Morning News reports. Analysis: Lee has made enough progress to participate in individual drills during practice, but he's not quite ready for game action and will miss a third consecutive contest with the hamstring injury. Fellow weak-side linebacker Joe Thomas has also been ruled out for Sunday, so Justin March-Lillard could see an expanded role on the outside. Lee (hamstring) was listed as a non-participant at Thursday's practice, Todd Archer of ESPN.com reports. Analysis: Lee seemingly took a step forward Thursday in his recovery from the left hamstring strain by taking part in individual drills for the first time since suffering the injury Week 3 in Seattle. However, Lee's activity didn't result in a change in his level of practice participation, which likely means he's trending toward a third straight absence Sunday against the Jaguars. The Cowboys should formally clarify his status for the weekend at the conclusion of Friday's practice. Lee (hamstring) worked off to the side Wednesday but wasn't a participant in the Cowboys' practice, Kate Hairopoulos of The Dallas Morning News reports. Analysis: Lee isn't expected to suit up Sunday against the Jaguars, so his lack of involvement during the first team session of the week doesn't come as much of a shock. Assuming Lee ends up being ruled out for a third straight game, rookie first-round pick Leighton Vander Esch would be in store for another elevated snap count at linebacker. Lee (hamstring) hasn't yet been ruled out for Sunday's game against the Jaguars, but Cowboys executive Stephen Jones told 105.3 The FAN on Monday that it is "a stretch" that he plays. Analysis: Lee has missed the last two weeks with a hamstring injury, and it looks like he is on pace to miss a third straight. Fortunately for the Cowboys, the defense -- and the linebacker unit, in particular -- has held up in Lee's absence. Lee (hamstring) is listed as out for Sunday's game versus the Texans, Jon Machota of The Dallas Morning News reports. Analysis: This will be the second straight week Lee sits out. so rookie Leighton Vander Esch will continue seeing an uptick in snaps. Lee had 20 tackles (nine solo) through the first three games. Lee (hamstring) won't participate in practice Wednesday, Jon Machota of The Dallas Morning News reports. Analysis: Team owner Jerry Jones expressed doubt Tuesday that Lee would be available Week 5 against the Texans, so it's hardly a surprise that the linebacker wasn't present for the Cowboys' first practice session of the week. With Lee seemingly in store for a second consecutive absence, rookie Leighton Vander Esch stands to benefit the most in terms of increased snaps. Cowboys owner Jerry Jones said, "It would surprise me" to see Lee (hamstring) play during Sunday's game against the Texans, Jon Machota of The Dallas Morning News reports. Analysis: Lee is expected to remain sidelined for two to four weeks due to a hamstring injury, so the veteran linebacker never had a real chance of being healthy for Week 5. Rookie first-round pick Leighton Vander Esch should see an increased defensive role in Lee's absence. Lee (hamstring) is ruled out for Sunday's game against the lions, Jon Machota of The Dallas Morning News reports. Analysis: Lee's lack of availability is no surprise, considering that the linebacker is expected to miss 2-to-4 games while recovering from a hamstring injury. It's expected that rookie first-round pick Leighton Vander Esch will see a substantial uptick in snaps as long as Lee remains sidelined, as will backup weakside linebacker Joe Thomas. Lee could be sidelined for as many as 2-to-4 games after he sustained a left hamstring injury in Sunday's 24-13 loss to the Seahawks, Calvin Watkins of The Athletic reports. Cowboys owner Jerry Jones confirmed Tuesday that he anticipates Lee will "miss some play time" after aggravating a hamstring injury in Sunday's loss to the Seahawks, David Helman of the Cowboys' official site reports. Lee (hamstring) is expected to miss multiple games, Ian Rapoport of NFL Network reports. Analysis: This is a major blow to a Dallas defense that's limited opponents to 3.4 yards per carry, though the team does have a solid backup plan in the form of rookie first-round pick Leighton Vander Esch, who had 11 tackles on just 33 defensive snaps in Sunday's loss to Seattle. The Cowboys may ask both Vander Esch and Jaylon Smith to take on three-down roles while Lee is unavailable. Lee left Sunday's game against the Cowboys with a hamstring injury and will not return, David Helman of the Cowboys' official site reports. Analysis: Presumably, this is the same hamstring that he injured in Week 3 and that hampered him during the week. If so, he is probably looking at an absence of some sort, and Joe Thomas likely would be called upon to replace him. Lee (hamstring) is active for Sunday's game at Seattle, David Helman of the Cowboys' official site reports. Analysis: Despite missing practice early in the week, reports and the player himself indicated he would play. He'll be a key cog in the Dallas defense as usual. Though Cowboys owner Jerry Jones called Lee (hamstring) a game-time decision for Sunday's game at Seattle, the linebacker is expected to suit up for the contest, sources informed Ian Rapoport of NFL Network reports. Analysis: Lee has been adamant that the hamstring injury that resulted in his departure during the fourth quarter of the Week 2 win over the Giants wouldn't cost him further time. It appears the Cowboys concur with Lee's assessment, as the 32-year-old reportedly moved around well enough at Friday's practice to leave the team optimistic about his Week 3 outlook. Assuming Lee is cleared to play, he likely wouldn't face any significant restrictions with his snap count. 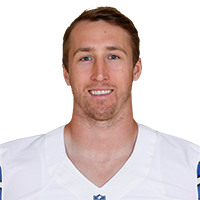 Owner Jerry Jones said Lee (hamstring) will be a game-time decision for Sunday's game at Seattle, Todd Archer of ESPN.com reports. Analysis: Lee was a limited participant at practice Thursday and said he intends on playing against the Seahawks. The 32-year-old sustained the injury in Sunday's win over the Giants and started off the week not practicing. The veteran linebacker should earn the questionable tag, while Joe Thomas would likely see an increased snap count if Lee is deemed unable to play. Lee (hamstring) was a limited participant in Thursday's practice, David Helman of the Cowboys' official site. "I plan on playing," Lee told Calvin Watkins of The Athletic, regarding his status for Sunday's game against the Seahawks. "I feel good." Lee (hamstring) was a non-participant at Wednesday's practice. Lee (hamstring) is trending toward being a limited participant in Wednesday's practice, Jon Machota of The Dallas Morning News reports. Analysis: Lee exited Monday's game against the Giants due to a hamstring injury and still appears to be recovering. The veteran is reportedly dealing with hamstring tightness, which he could conceivably recover from in time to suit up against the Seahawks on Sunday. If Lee misses any time, Joe Thomas stands to step in as his replacement. Lee picked up five tackles in Sunday night's win over the Giants but left the game in the fourth quarter with what was reported to be a hamstring strain. However, the linebacker said afterwards he was only suffering from cramping, Jon Machota of The Dallas Morning News reports. "I don't think it's anything serious," Lee said. "I don't think it will keep me out next week." Analysis: He did return to the field as part of the hands team for the Giants' final onside kick attempt, which at least suggests the training staff wasn't worried about Lee aggravating the issue. The veteran hasn't put up his usual IDP production through two games, recording only nine tackles, and with younger linebackers Jaylon Smith and Leighton Vander Esch pushing for snaps, Lee's role seems likely to be reduced going forward even if he does stay healthy. Lee recorded only four tackles and a pass defended in Sunday's loss to the Panthers. Lee will make his preseason debut Saturday against the Bengals, Kate Hairopoulos of the Dallas Morning News reports. Analysis: The Cowboys kept Lee sidelined during the team's preseason opener as a precautionary move, but the starting outside linebacker will play Saturday. He's appeared in 11 or fewer games in three of the last five seasons, so the Cowboys have no reason to rush the 32-year-old back into preseason action. Lee didn't participate in Tuesday's walkthrough practice as he continues to gradually build up his workload, the Cowboys' official site reports. Analysis: The Cowboys are aiming to limit the wear and tear on Lee's body, and Tuesday's practice session was an instance of that philosophy. The veteran has yet to play a full season for Dallas, but he will take aim at doing so for the first time in his career in 2018 as the team's projected starting right outside linebacker. Lee took part in individual drills during Tuesday's minicamp, Todd Archer of ESPN reports. Analysis: While he's not dealing with a specific health issue, the Cowboys have been going easy on the oft-injured 31-year-old so far, with Tuesday's appearance on the field being Lee's first in either minicamp or OTAs. While he can't be counted on to play a full 16-game schedule, Lee's per-game IDP production should once again be elite in 2018. Lee will be held out of practice Wednesday and Thursday, as coach Jason Garrett said the team is "working our way through a couple things with him," Jon Machota of The Dallas Morning News reports. Analysis: The Cowboys will opt to exercise caution with the veteran, as he often struggles to stay healthy. He appeared in 11 games last season, recording 101 tackles. Lee finished the regular season with 101 tackles (70 solo) and one interception in 11 games. Analysis: It was the same old story for the extremely talented but fragile veteran. Lee was an IDP dynamo when he was on the field, but he's missed multiple games due to injury in six of his eight NFL seasons -- including the entire 2014 campaign. The 31-year-old will return to his weak-side LB role in 2018, but the Cowboys have to hope that Jaylon Smith or someone else can begin to emerge to eventually replace Lee as the heart and soul of their defense. Lee made 14 tackles (seven solo) in Sunday's 21-12 loss to the Seahawks. Analysis: Active for a third consecutive game after struggling with injuries on multiple occasions this season, Lee extended his streak of games with double-digit tackles to three in Sunday's defeat. He remains an elite linebacker when healthy enough to take the field. Lee recorded 10 tackles (six solo) in the Cowboys' 20-17 victory over the Raiders on Sunday. Analysis: Lee followed up his huge 18 tackle performance in Week 14 with another double-digit effort. Although he was questionable heading into the evening, the veteran linebacker was the only Cowboys defender to play all 70 snaps. He will look to carry his momentum into Week 16 against the Seahawks. Lee (hamstring) is active for Sunday's game in Oakland, David Helman of the Cowboys' official site reports. Analysis: Lee returned from the hamstring injury in last week's win over the Giants, notching 18 tackles along with his first interception of the season. He was held out of Friday's practice, but it appears his absence was just a precaution. Lee's availability is bad news for the entire Oakland offense, as he's easily the most valuable player in the back seven of the Dallas defense. Lee (hamstring/back) didn't practice Friday and is listed as questionable for Sunday's game in Oakland. Analysis: A limited practice participant the previous two days, Lee seemed to be on the right track for Sunday's game. His absence from Friday's practice now clouds his status, though it's possible the Cowboys merely wanted him to get some rest. Lee returned from a three-game absence to play 66 snaps in last week's 30-10 win over the Giants, piling up 18 tackles and collecting his first interception of the season. Lee was a limited participant at Wednesday's practice with a hamstring injury, David Helman of the Cowboys' official site reports. Lee racked up 18 tackles and recorded his first interception of the season in Sunday's win over the Giants. Analysis: The pick was his first in more than two years, while the tackle total was his best since he dominated the Giants for 18 stops in Week 14 of last season. Lee's inability to stay healthy has cost him five-plus games in 2017, but when he's healthy he remains an IDP dynamo. Lee (hamstring) doesn't carry an injury designation into Sunday's game against the Giants, Jon Machota of The Dallas Morning News reports. Lee (hamstring) was a limited participant at the Cowboys' practice Wednesday. Analysis: Lee indicated Monday that he expects to be available for Sunday's game against the Giants, and the limited practice reps are most likely a precaution more than anything else. The veteran linebacker has missed the last three games and five total for the season, and Thursday and Friday's practice sessions should provide further indication of his status for Week 14. Lee (hamstring) said Monday that he anticipates playing Week 14 against the Giants, David Helman of the Cowboys' official site reports. Analysis: Lee has missed the Cowboys' last three games with the hamstring injury but indicated that he expects to take part in practice beginning Wednesday, which would likely clear the way for him to suit up before the weekend arrives. Despite sitting out five games due to injury this season -- and having a troubling history on the health front throughout his career -- Lee has been a serviceable IDP when available in 2017, logging 52 tackles in seven contests. Lee (hamstring) has been ruled out of Thursday's game against the Redskins, Todd Archer of ESPN reports. Analysis: Lee didn't practice in any capacity this week and will now miss his third straight game. With Justin Durant (concussion) also ruled out and Anthony Hitchens (groin) listed as questionable to play, the Cowboys will likely need reserves Justin March-Lillard and Kyle Wilber to handle increased workloads. Lee (hamstring) did not practice Tuesday and is not expected to play in Thursday's game against the Redskins, Jon Machota of The Dallas Morning News reports. Analysis: It looks like the short week isn't going to do Lee any favors, as after two days of no practice, Lee is trending toward being inactive for Thursday night's showdown with the Redskins. Fortunately for Lee, the team will then have 10 days before it heads to New York to face the Giants, which should benefit the linebacker in his recovery. Lee (hamstring) didn't practice Monday. Analysis: Lee has been expected to miss three games all along, likely targeting Week 14 against the Giants for a return. The Cowboys will have an extended break between games after facing the Redskins on Thursday. Cowboys owner Jerry Jones confirmed that Lee (hamstring) wouldn't play Thursday against the Chargers, David Helman of the Cowboys' official site reports. Analysis: After Lee injured his hamstring in the Week 10 loss to the Falcons, the Cowboys were always bracing for a multi-game absence, so it shouldn't come as a surprise that the linebacker will miss his second consecutive game. Jaylon Smith and Justin Durant will likely be the main beneficiaries of extra snaps at linebacker with Lee out and Anthony Hitchens (groin) looking uncertain for Thursday. Lee (hamstring) was officially ruled out for Sunday's game against the Eagles, Jon Machota of The Dallas Morning News reports. Analysis: It was indicated earlier this week that Lee is potentially looking at a multi-week absence, so this was to be expected. Given the quick turnaround with their Thanksgiving matchup with the Chargers, the veteran linebacker seems unlikely to return prior to Week 13. The Cowboys are preparing for Lee (hamstring) to miss the next three games, Brandon George of The Dallas Morning News reports. Analysis: Lee is already expected to miss Sunday's game against the Eagles, and he probably won't be ready for a Week 12 matchup with the Chargers on Thanksgiving. He won't even have extra time to prepare for Week 13, as the Cowboys follow their annual Thanksgiving outing with another Thursday game (against the Redskins). Anthony Hitchens, Jaylon Smith and Damien Wilson all picked up extra snaps after Lee left Sunday's 27-7 loss to Atlanta. Lee (hamstring) likely won't play Sunday against the Eagles, Ian Rapoport of NFL Network reports. Analysis: Lee's medical chart is rich with ailments, including to his hamstring. After hurting the region Sunday in Atlanta, he appears on pace for at least one absence and potentially two with a Thanksgiving day game against the Chargers on tap. In his stead, weakside linebacker will be manned by Damien Wilson and/or Justin Durant. Lee (hamstring) has been ruled out for the remainder of Sunday's contest at Atlanta, Jon Machota of The Dallas Morning News reports. Analysis: Dallas likely is erring on the side of caution with Lee given his past issues with hamstring injuries. We should have a clearer understanding of Lee's status for next week over the next few days. For now, look for Damien Wilson and Justin Durant to help out where needed. Lee is questionable to return to Sunday's game against the Falcons with a hamstring injury, Kate Hairopoulos of The Dallas Morning News reports. Analysis: Lee has dealt with a plethora of hamstring issues in the past, so the Cowboys will likely take every precaution necessary to ensure that this doesn't linger into a long-term problem. If Lee is temporarily sidelined, Damien Wilson and Justin Durant seem to be the likely options to replace him. Lee racked up 12 tackles in Sunday's win over the Chiefs. Analysis: It was the first time this season he's recorded double digit tackles, although his 51 in six games still matches his usual elite per-game pace. Lee remains a strong IDP option when healthy, although the 30-year-old doesn't offer the production in sacks or INTs that he did a few years ago when Dallas still had him slotted in at middle linebacker. 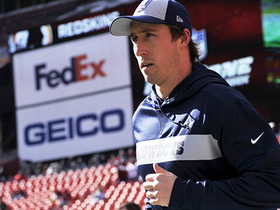 NFL Network's Jane Slater has the latest on Dallas Cowboys linebacker Sean Lee and why Lee won't be playing in Week 16. NFL Network Insider Ian Rapoport has the latest on what the return of Dallas Cowboys linebacker Sean Lee, means for linebacker Leighton Vander Esch. 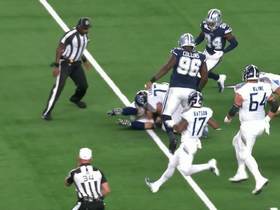 Dallas Cowboys defensive end Demarcus Lawrence slaps the ball out of Tennessee Titans quarterback Marcus Mariota's hand for a sack fumble. 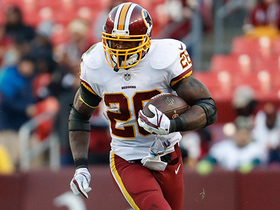 Washington Redskins running back Adrian Peterson wiggles through defenders for a 4-yard gain. 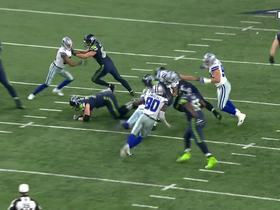 Dallas cowboys linebacker Sean Lee makes a huge tackle. 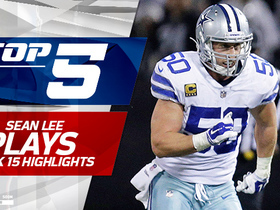 Watch to see the best plays of Dallas Cowboys linebacker Sean Lee in his Week 15 matchup against the Oakland Raiders. 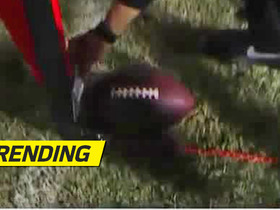 The referees use an index card to measure to see if the Dallas Cowboys got a first down. 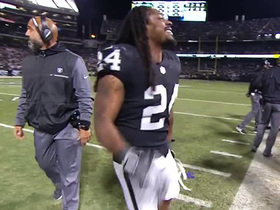 Oakland Raider running back Marshawn Lynch dancing on the sideline during a timeout. 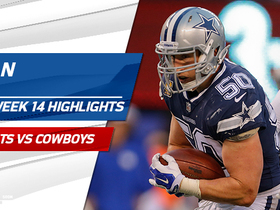 Watch the best plays from Dallas Cowboys linebacker Sean Lee in his return to action in Week 14. 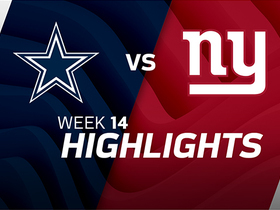 Watch the best plays from the Week 14 match up between the Dallas Cowboys and the New York Giants.